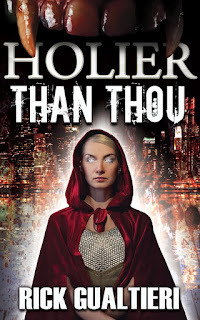 I am pleased to announce that 1) I'm still alive and this blog hasn't been abandoned and - oh yeah - 2) Holier Than Thou (the Tome of Bill, part 4) has been released! Woo! Unsure of his allies and outnumbered by enemies, Bill must dig deep within himself and find the faith to succeed - because if he fails, it’ll be more than just his social life in tatters. Holier Than Thou (the Tome of Bill, part 4) is 95k words of foul-mouthed undead insanity by Rick Gualtieri, author of Bill The Vampire, Scary Dead Things, and The Mourning Woods. 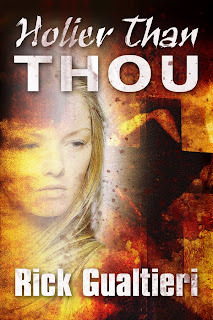 Coming soon to Paperback and Audio Book.